Hate Calling Customer Support? Bookmark This Site! Mr. Cheap Stuff > Blog > Featured > Hate Calling Customer Support? Bookmark This Site! Here @ Mr. Cheap Stuff we are dedicated to providing you quality deals, tips, freebies and discounts that are worth your precious time…our motto is “Just The Good Stuff” Having searched the web finding great deals to share on Mr. Cheap Stuff I’ve run across of a lot of great websites offering free services, tips, ideas that should be voiced here, on Mr. Cheap Stuff! This idea started with www.freerice.com posted on March 20, 2008. Are you an advocate for good customer service? Have you been a victim of being put on hold? Do you just want to just talk to a HUMAN BEING? www.gethuman.com has heard our cries and are here to help. We’ve all had customer service issues that have resulted in a call to a companies corporate or main offices. It’s a crap shoot whether your situation will progress for the better or if you’ll end up in the land of voice mail prompts and fictitious departments. 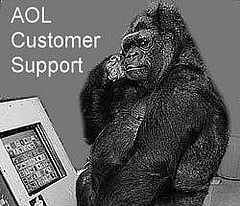 www.gethuman.com was born out of frustration and a need from consumers, like you and I, get the dignity and respect we deserve if put in the position to having to make the dreaded call to customer service. This is a 100% free service with nearly 1000 major companies posted with directions on how to get through to a living, breathing person, on the clock and ready to take your call. With their tireless efforts and research they have listed major companies with their secret phone numbers and codes to slip in under the radar and get straight through to a Customer Service Representative. This site offers a blog to tell your customer service accounts, also you can request a company be added to their list. I’ve been lucky and have not had to make too many calls to companies I pay bills to or have questions for, but when I do, I check with www.gethuman.com. It saves me precious time, lessens CSA, Customer Service Aggravation and I can make my call and get on with my day! If you have a website that you would like to submit and share. Please send me an email. Will Driving 55 mph Save Money on Gas? Got a tip, deal, coupon, question or comment? Plus Free Shipping on Orders of $25. Mr. Cheap Stuff is passionate in helping you save time & money by providing high quality tips, deals, coupons and freebies. I believe that less is more and only post deals I feel is worth your valuable time. Please join the conversation and don't miss out by subscribing to our newsletter or RSS feed. Copyright © 2019 Mr. Cheap Stuff. All Rights Reserved.